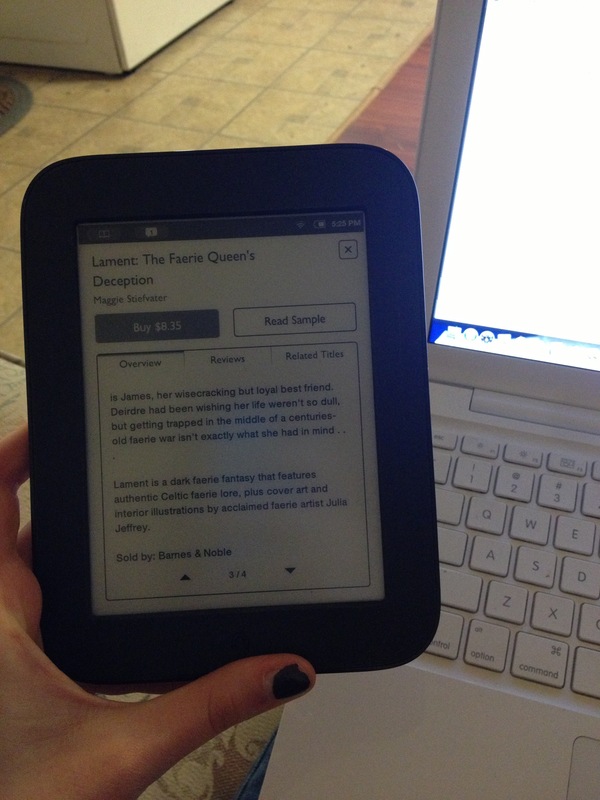 I finally have an ereader! And better yet, it was gifted to me! I’m sure all you broke and bookish nerds out there can relate to the utter happiness I feel! So what’s the first book I will read on my Nook? I’ve been meaning to read this for a while. Pretty much ever since I was interludes to her books and became a huge fan. Sooo excited! What’re your thoughts on ereaders? Positive or negative, I’d like to know! I’m trying it out, but I’m still on the fence. I’ve got three nooks and I love them to pieces. There are tons of sites with book deals and free books. Enjoy! Make sure you sign up with book bub and nook daily deals. Oh, and definitely see what’s available for Free Fridays on the nook blog, unbound. It took me a while to get use to my Nook but I love it now. I wouldn’t be without it. I have found that I read faster on my Nook then I do a printed book.